Some gardeners consider these three of their least favorite words. Why does the thought of cutting a plant scare us so much, especially when all the experts say that what we’re supposed to do? For me, it used to feel wrong to cut what you’ve coaxed to grow. It felt cruel and wasteful. I had trouble getting past the feeling that these plants are my fragile babies and a sharp pair of pruners is something I need to protect them from. Often as a gardener, I’ve looked at a sad looking flower or a stalled out vegetable plant flummoxed about what I can do to improve it. The answer is often that I should have pruned, pinched or thinned. We always want more plants and vegetables. With gardening, it’s often true that less will equal more in the end. We need to cut to grow. Here are some examples where I’ve learned this first hand. Overgrown basil. I’ve overseed basil and just couldn’t bring myself to thin out the seedlings. Here’s how it goes: I sow too many seeds and try to will them all into thriving, but the whole pot turns into a leggy mess. The seedlings fight each other for water and light and I end up with no pesto. Just do what it says on the seed packet. If you’re using peat pots or cells, thin to one seedling per cell when they have two sets of true leaves. My packet of seeds says one seedling per 12 inches. That means one healthy seedling is good enough for most containers. One healthy basil plant is better than none. When I somewhat miraculously grew a plant, I didn’t want to pinch it. So it grew taller and taller until it just flopped over. Pinch the top leaves off a basil plant after two sets of true leaves. And that takes me into the same issue with zinnias. Leggy zinnias. Zinnias will grow and bloom just fine, even if you don’t prune or pinch them. When you don’t prune, however, each plant grows into very tall stems with only a few flowers. This is because of the principle of apical dominance, which I learned about from Proven Winners during a Twitter chat. Wikipedia’s description is a little technical, but it means that in some plants, hormones direct it to grow up through a tall main stem. 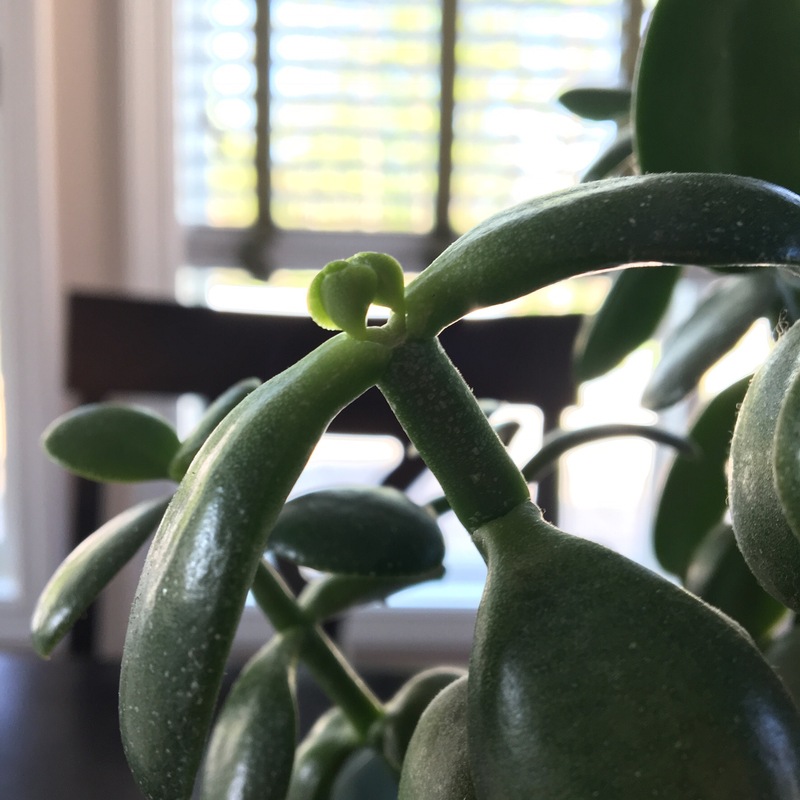 When you pinch at the top of that stem, you stop that drive to grow up and instead spur the plant to grow out, through other secondary buds and then branches. When I learned this, it pretty much changed everything for me. Now I’ve pinched back all of my zinnias after their third set of true leaves and they’re already stout and bushy. 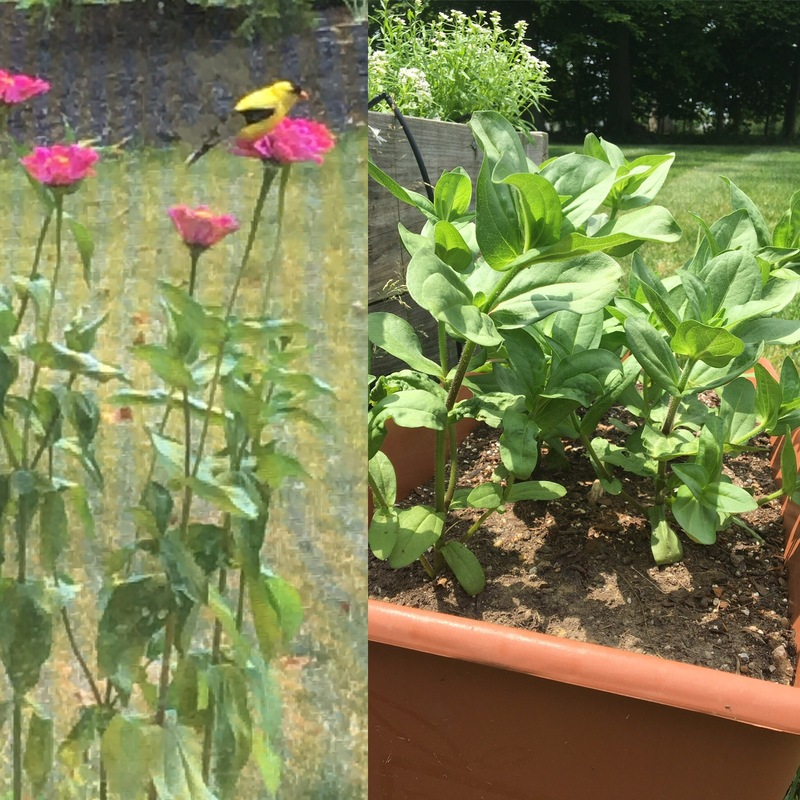 Take a look at the side-by-side comparison with last year’s zinnias. Strawberries and tomatoes: Pinching to direct energy. I read a suggestion online that gardeners should pinch all blossoms off first year strawberry plants in order to direct energy into making the plant’s root system stronger. Makes total sense but I’m not sure that I have the willpower to skip out on fresh strawberries all season. I pinched off the first few flushes of flowers, but I’m now not-so-patiently awaiting a harvest. The idea of directing energy by pruning is the same with tomatoes. Pruning suckers out of tomato plant armpits directs energy into the already established stems or developing fruits. This also prevents your plant from growing into a tangle of branches, which can restrict airflow around the plant and lead to disease. Too tall jade plant. I’ve grown jade plants till they were spindly and tall, while really hoping to have cool-looking branching plants. This is one where I was definitely scared to prune. They seemed to grow so slowly. And what if I cut too much? After I read enough articles online, my top-heavy plants tipped over for the last time. I built up the courage to pull out my pruners and cut. And, thanks again to apical dominance, two new little plant shoots came out of each cut. Increase zucchini and pumpkin production. This is my latest learning: prune zucchini and pumpkin…at some point. My zucchini production last year was ok, but there’s room for improvement and I think pruning could help. I looked around the internet a little about when and where to prune. I’m still a little unclear on the right technique, but I’ll keep researching. If you have any thoughts, please let me know. So I’m ruthless in the garden now. I cut. I trust the wisdom of the generations of gardeners before me. When they tell me to cut, I cut. And it’s working so far.